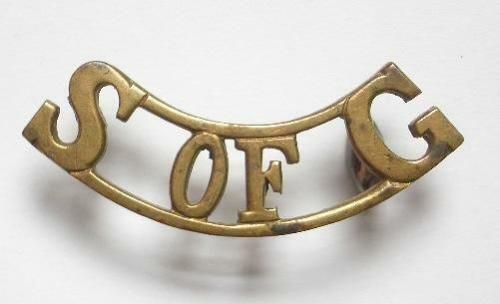 S OF G pre 1920 School of Gunnery brass shoulder title. A good scarce example of fat hexagonal loops. (Westlake 601) School of Gunnery at Shoeburyness, then Larkhill. redesignated School of Artillery 1920.